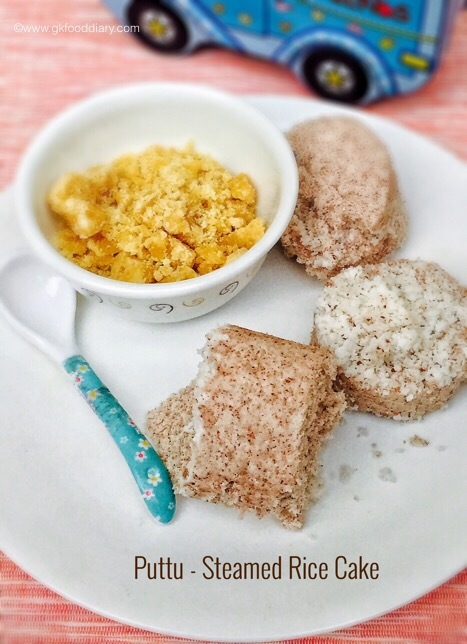 Red rice puttu aka red rice steamed cakes is a Kerala traditional healthy breakfast. It can be made with white rice,red rice, ragi, wheat, foxtail millet etc. 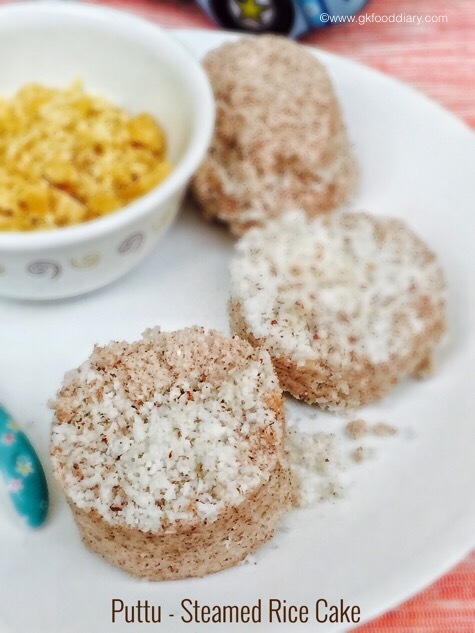 Here in this post i have given detailed information about the ways of making puttu, best possible side dishes for puttu, when & how to feed puttu to babies. There are three ways of making puttu. Puttu kutti vessel is traditionally used to make puttu. It has two parts. 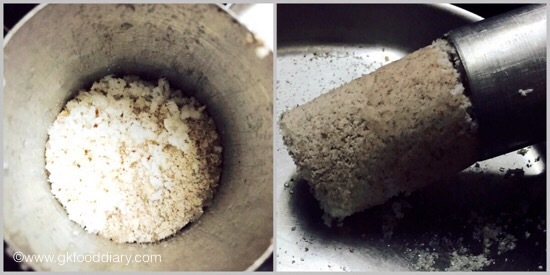 The lower section is pot which holds the water and upper section is the cylindrical tube which holds the puttu mixture. 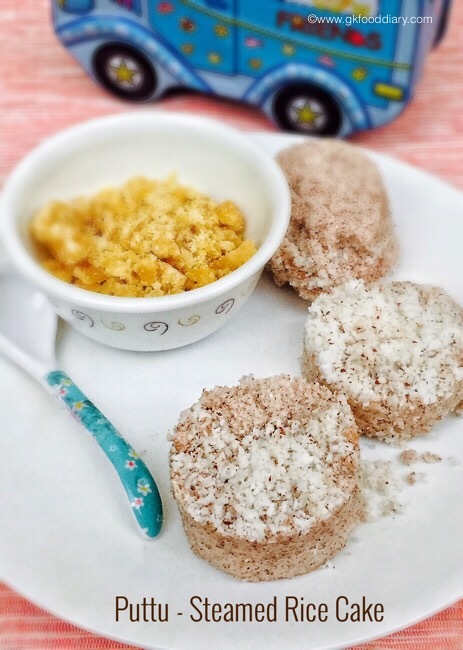 I have used puttu kutti to make this puttu recipe. 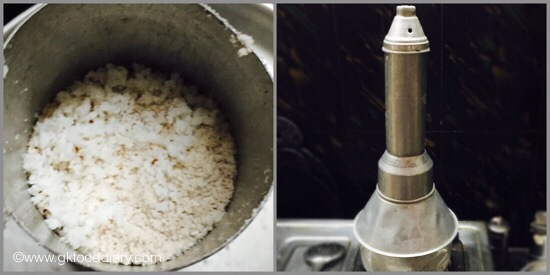 You can also make puttu using idli pot with steamer plate or Idli pan. Just layer the steamer plate or idli pan with puttu mixture and steam it. But using this method we can’t get the traditional shape of puttu but no compromise in taste. If you can’t source the conventional puttu kutti, can buy puttu maker for pressure cooker. Puttu maker should be used as an attachment with the pressure cooker’s vent or nozzle. U can use it as similar to puttu kutti as mentioned above. How to give puttu to babies? You can introduce puttu to babies after 10 months. 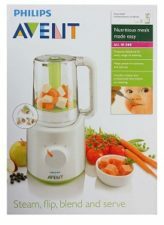 As it’s steam cooked, it’s healthy and easily digestible for babies. U can follow this same method to prepare puttu for your baby, just replace coconut with Nendran banana while steaming. After steaming, just mash the puttu with steamed Nendran banana & feed your baby. Let’s check how to prepare puttu recipe. Soak red rice for 2 hours. Wash the red rice well in water and dry it under sun for 30 minutes. Then heat a pan and dry roast the red rice for 5 minutes in low flame or until hot to touch. Don't burn it while roasting. Let it cool down and then grind it in a mixer to a liitle coarse powder. Set aside. Take the ground red rice flour in a wide plate and sprinkle little warm water on it and wet the entire flour. Keep mixing with water until you could able to make a fist when hold together and should crumble and fall when left. This is the correct consistency for puttu. Layer the cylindrical tube first with little grated cocount , then add fistful of red rice flour, then again add grated coconut. Repeat the process until the flour is finished. You can fill it until it reaches the end of cylindrical tube. Now fill the puttu pot with water and attach the cylindrical tube with lid. Steam cook for 8-10 minutes. U will get a nice aroma when its done, switch off the flame. Remove the cylindrical tube from the pot , open it and gently push it with a laddle. Puttu is ready. 1. Soak red rice for 2 hours. Wash the red rice well in water and dry it under sun for 30 minutes. Then heat a pan and dry roast the red rice for 5 minutes in low flame or until hot to touch. Don’t burn it while roasting. 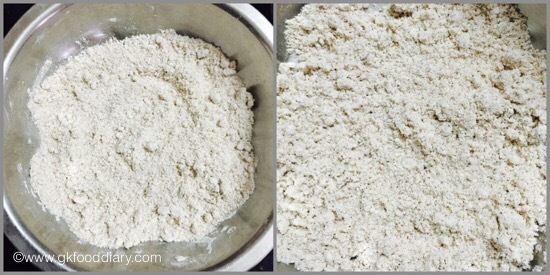 Let it cool down and then grind it in a mixer to a little coarse powder. Set aside. 1. Take the ground red rice flour in a wide plate and sprinkle little warm water on it and wet the entire flour. Keep mixing with water until you could able to make a fist when hold together and should crumble and fall when left. This is the correct consistency for puttu. 2. Layer the cylindrical tube first with little grated coconut , then add fistful of red rice flour, then again add grated coconut. Repeat the process until the flour is finished. You can fill it until it reaches the end of cylindrical tube. Now fill the puttu pot with water and attach the cylindrical tube with lid. Steam cook for 8-10 minutes. U will get a nice aroma when its done, switch off the flame. 3. Remove the cylindrical tube from the pot , open it and gently push it with a laddle. Puttu is ready. 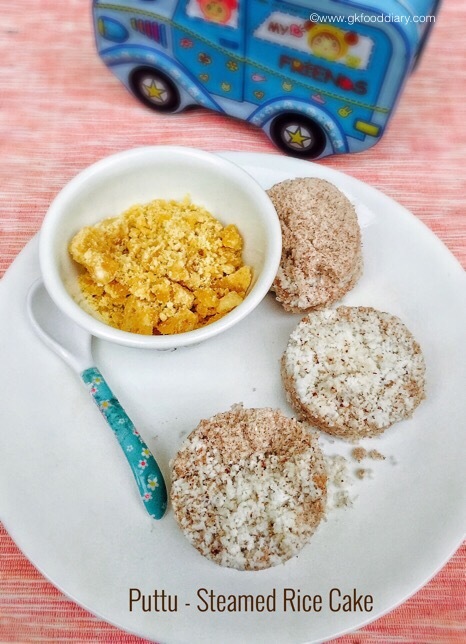 Serve the puttu warm along with ghee .Tastes delicious! You can use opt any of the above mentioned method to prepare puttu as per your choice and convenience. You can also use store bought puttu podi( red rice puttu flour) for making this puttu.